Streetwear sneakers with a radical aesthetic. 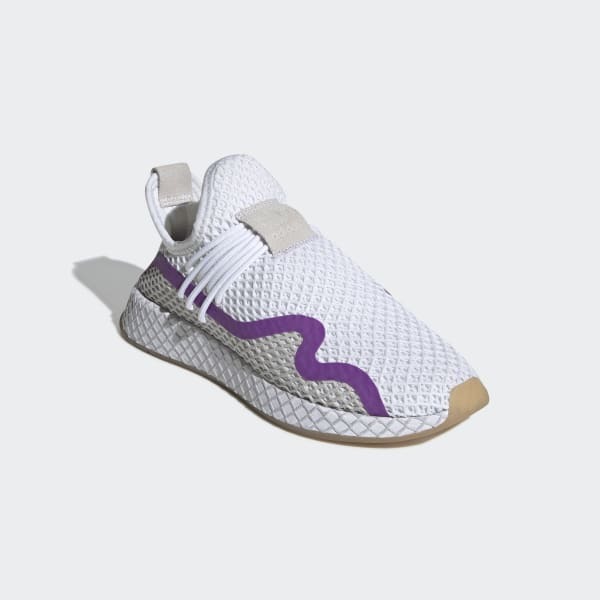 Inspired by the power of contemporary art to push boundaries, these Deerupt shoes offer a modern interpretation of adidas running style. They have wave-shaped accent on the side, and they're flexible and collapsible for fuss-free packing. The mesh netting overlay adds a textured look and gentle compression.